Indie developer Eden Industries has announced that its upcoming RPG, Citizens of Earth, will be hitting the Wii U eShop in 2014. The game tasks the player — as Vice President of the World — with rallying the citizens of a small rural town to battle wacky enemies and complete tasks for money and power. It's been likened to Earthbound and Little King's Story and has an offbeat sense of humor, while there'll apparently be over 50 characters to recruit. The game has wacky enemies like a Honey Bear… which is a honey filled bear shaped like a bottle of honey and a Toupee Eagle. Bald Eagle. Toupee Eagle, get it? Players will also run into a Rastafarian Samurai, but you won’t run into him randomly. Citizens of Earth puts enemies on the map and you can command your followers to strike mobs first to start combat. In battle, you have three followers and fight using a turn based system. Citizens of Earth also has an online versus mode where you can bring a team of characters and fight with a friend. 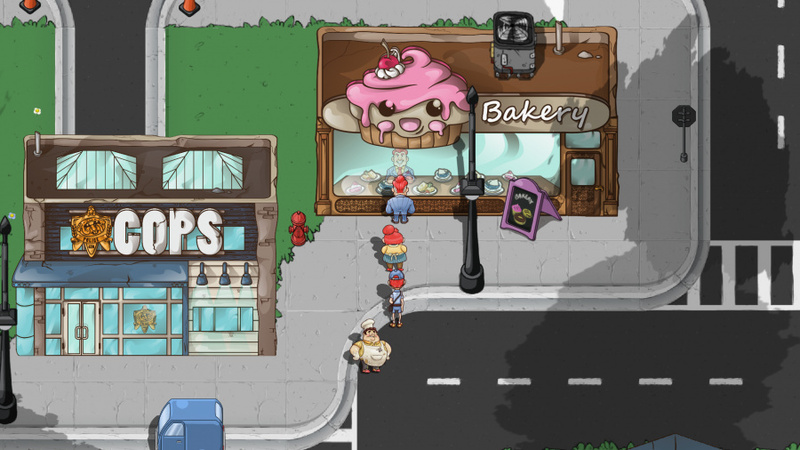 With Earthbound and Little King's Story as its inspiration, Citizens of Earth is certainly aiming for a quirky, fun experience. Are you looking forward to seeing more RPGs on the eShop? Let us know in the comments section. Looks interesting to say the least...Might turn out to be really good. I really hope it does. 2014 is stil far away..
Show me gameplay and we'll talk. At least it's not another indie platformer. To far off to say either way on this one, though the idea sounds interesting. Anything that is somewhat like Earthbound should be good though. Quirky RPGs are one of my favorite genres. The concept sounds quite good, but I'd like to see it in action first. Wow, Nintendo are sending me a free Wii U dev kit. 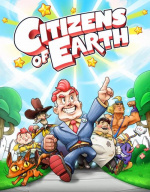 I guess they really want Citizens of Earth on the Wii U "
Keep throwing dev kits out to the Devs Nintendo. Oh that seems pretty cool-INSPIRED BY LITTLE KING'S STORY?! That sounds like a great concept. Can't wait to see it in action. My interest is piqued but I gotta agree I need to see some gameplay. The biggest thing I ask for...please no random encounters! hmm looks like a crappy earthbound to me.. not too interested. im not into these flash game graphics. Can't wait for when it gets closer to release, so we can find out more about this game. Citizens of Earth! Prepare to invade Wii U eShop! So many reports of indie games coming to Wii U. It's good news all round really, but I do have to wonder if all of these games will be available worldwide. And to imagine it took two years. Amazing!